You, lovely reader, are getting married at the most amazing time – the opportunities for hiring a unique venue are endless. 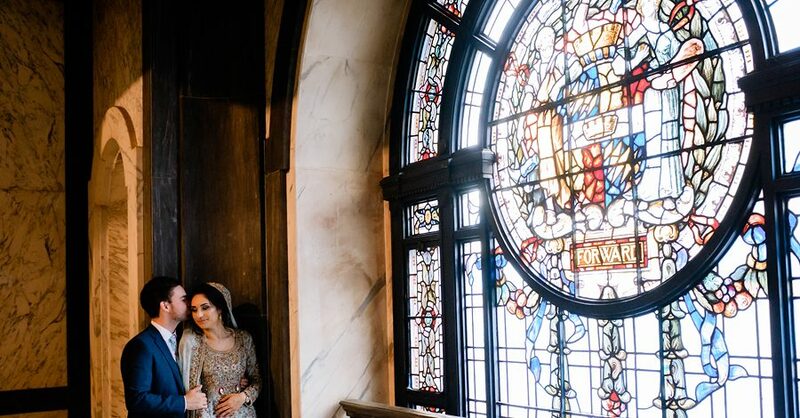 So many places – old theatres, cinemas, museums; buildings filled with history and character – are opening their doors to weddings. As a wedding blogger I love discovering new places to get hitched, and when I can share the experience with all of you lovely lot it makes me so happy! Today we join beautiful bride Najma and her gorgeous groom Jeff as they tie the knot at Birmingham Museum and Art Gallery. 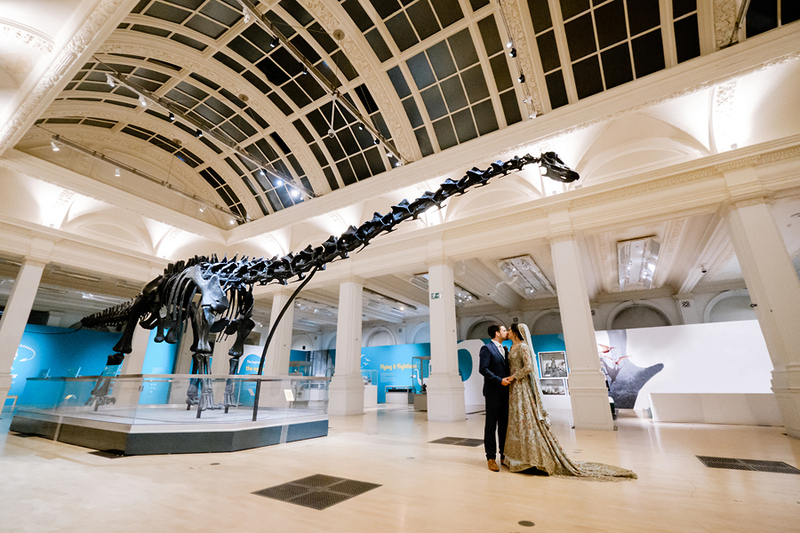 It’s probably the only wedding venue with a touring dinosaur… or is it?! Dippy’s making his way around the UK until 2020, dinosaur fans! 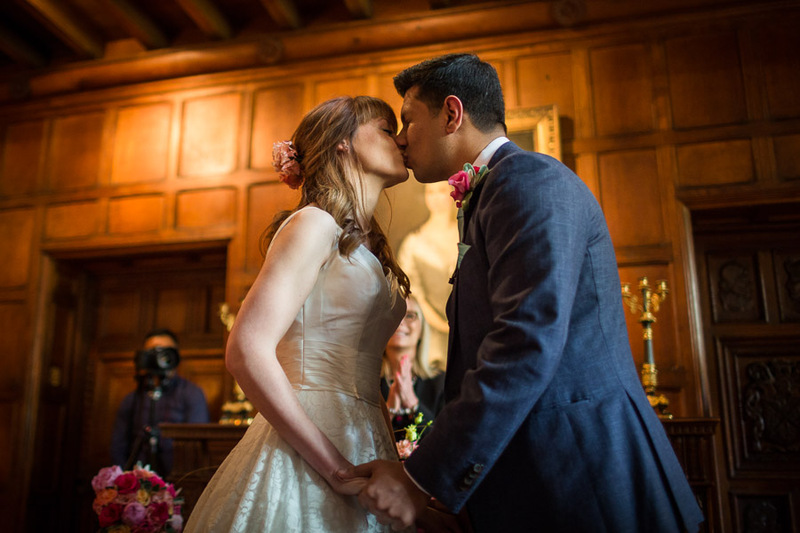 Glenn and Pen celebrated their wedding over a full weekend, with a wonderfully chic ceremony on the Saturday and a colourful, traditional, vibrant party at Bradbourne House on the Sunday. I LOVE it all – from the fleet of vintage cars (how cool?!) to the henna tattoos, paisley patterns and Pen’s stunning dresses. I know you will too! 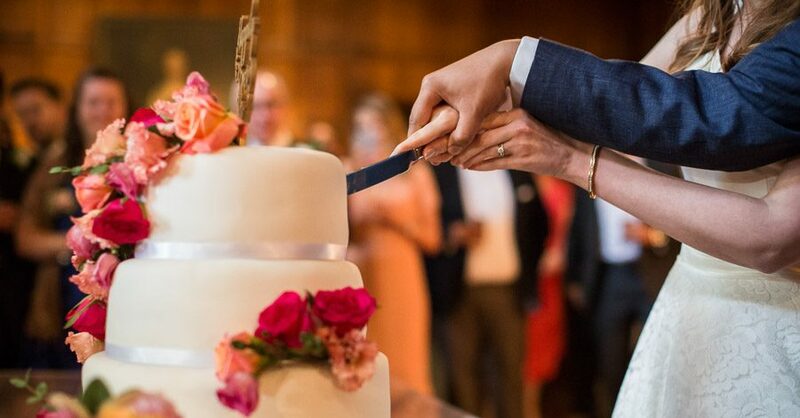 Pen’s advice for other couples, and supplier recommendations, are an unmissable read: do take some time to read her interview at the end of today’s feature. Pen and Glenn’s two celebrations were fabulously different, but both absolutely stunning. Pen says their English wedding was full of surprises for guests, a magical, emotional, fairytale day. To compliment the venue which was within a Norman church set amongst the beautiful Kent countryside they opted for a rather vintage style, a convoy of classic cars and their owners arranged as carriages for guests and the wedding party – and they wore non traditional wedding outfits. I was so excited when I saw all the lovely images from Madeleine and George’s beautiful wedding – they married on the cusp of spring, and used wild cherry blossom as a key floral theme with darker reds and woodland shades to style their day. Their Vietnamese-English fusion wedding brings a lovely splash of colour with all the fabulous reds, and the portraits of the bride and groom are stunning, as is St Audries Park. You’ll love it! “We used pale pink cherry blossom, rich red vanda orchids for a slightly oriental feel and blousy peony like, pale pink ranunculus, along with blue green foliages such as eucalyptus, ice plant. I wanted the bouquet to be natural looking, seasonal and trailing. A hand tied bouquet of flowers with an undulating, flowing and natural outline.